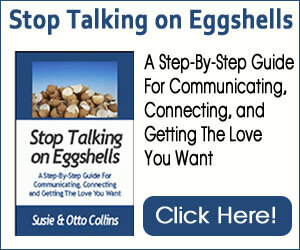 Because we’re relationship coaches and work with a lot of people to help them put more spark into their relationships and marriages, one of the biggest questions we get (especially at Valentines Day) is…”What is a great way to get closer to my loved one?”Whether you’re talking about the love of your life, your kids or anyone else in your life, we think that very near the top of almost anyone’s list is the gift of touch. One of the things that the two of us are always doing to keep our close, loving connection is touching each other. Sometimes in subtle ways and other times more intentional, like a back or a foot rub or maybe a more sensual massage. Here’s a romantic gift idea we wanted to pass on to you that we think almost all of you could benefit from if you want to make another person feel special. Our friend Robert Sigler is a full time Massage Therapist in Virginia and he has put together a wonderful online video and tutorial for anyone who wants to learn how to give better massages. This isn’t to teach you how to be a massage therapist. You’d need to go to massage school for that. His videos and tutorials are designed to help ordinary people, like us, learn some simple massage techniques that you or anyone can learn in just a few minutes that would feel great for the person receiving your gift of touch. Both of us have been known to request a loving massage from each other from time to time and we’ve found that massage is a great way to connect with each other and make the other feel truly special. Even if you have never given a massage before in your entire life, these tutorials can show you step by step how to give an amazing massage. We’ve seen them and absolutely love them. They’re very well done. They’re VERY affordable and there is NOTHING about these videos or tutorials that you would be embarrassed about if your mother or children saw them.